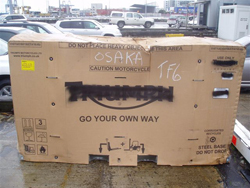 Motorbike Shipping: 3 step process, cost and key tips. 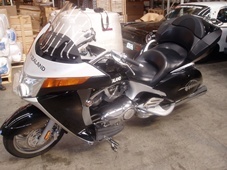 Shipping a motorbike to New Zealand? 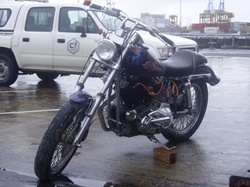 Shipping a motorbike from New Zealand? For over 20 years McCullough has invested their expertise and heart into making motorbike shipping for you as simple as 1-2-3. We’ll ship, Customs and MAF clear your motorbike for you anytime, anywhere. Get your free quote now. It’s that simple. and handle the complete process i.e. shipping, Customs and MAF clearance, packing, transport, delivery and insurance. Ensure that you disconnect the battery. Ensure that you thoroughly clean your motorbike, paying particular attention to the wheels and guards. a. MAF will be looking for mud, plant material and insects. Ensure you consider marine insurance (we can provide a comprehensive policy covering origin pickup to destination drop off). a. Remember to take close up photos of both sides of your motorbike. “Returned from the USA leaving my bike that I had travelled with for 5 months with McCullough Ltd in LA.